People like to say a lot of negative things about Netflix and I'm not always their biggest supporter but recently they seem to have really made it worthwhile to pay them eleven dollars a month. There are certain series I continue watching through them (Bojack Horseman, the Marvel series, etc) and they often debut new original shows which look appealing as well. This review is to serve, on some level, as a "Why it's okay to be paying Netflix" type of column and as I write more about films and shows exclusive to Netflix I hope you think of them in the same way. Orson Welles, who is perhaps best known for creating "Citizen Kane", is one of my favorite directors and when I was heavily into movies between the years 2000 and 2010, I went out of my way to see all of his films because I went through a classics phase. This movie is... It is not easily described without seeing it, and yet it can be somewhat easily described by what it is (how it came to be) and to simply use genre words I suppose. For one thing, this movie was shot in the 1970's and it has that look of a 1970's movie to it. If you think about the culture and society at that time, this film fits right in. If you didn't know by now, "The Other Side of the Wind" is the final, unfinished film by Orson Welles. I guess the best way to think of it in simple terms is that he shot a whole bunch of footage but didn't get around to piecing it together to form the film, which is essentially what was done now to bring this lost gem to light in 2018. So I believe that this is still a lot of the voice, the vision, of Orson Welles and it hasn't been tampered with that much by modern hands or anyone else along the way. But it's also not like Brandon Lee in "The Crow" because this sat around waiting for funding for decades. The majority of the people involved with the making of this film are long since dead. And wouldn't it be something for this film to win an Oscar? It is, hands down, one of my favorite films of 2018. It's a subtle reminder that Hollywood isn't what it used to be when Orson Welles and John Huston are back on top of it. You feel like (at least I feel like) there should be advances in Hollywood to the point where someone coming in some- what, almost fifty years later- should feel obsolete. If you had an idea for automobile in 1979 and it was just now seeing the light of day, no one would buy it because it would likely be too expensive and cars have just progressed, evolved over time. Why hasn't film done the same? 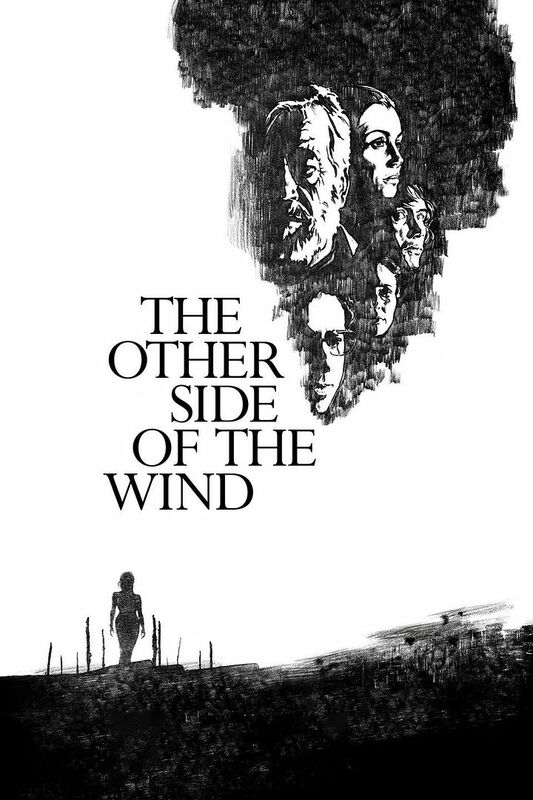 "The Other Side of the Wind" follows around a director who is obviously Orson Welles but is played by John Huston and it's a wild ride to say the least. Most of this movie serves as a documentary in that way, not just because it is Orson Welles telling his story through the character of Jake Hannaford but because it is literally people interviewing the director and following him around with cameras. Film creates this wall between what is happening in the movie and what is real and "The Other Side of the Wind" has at least fifteen walls and will leave you speculating at every scene of what is real and what is part of the movie within the movie within the movie. "Gypsies, jazz and mariachis, all for a bunch of creeps who only want to listen to themselves talking"